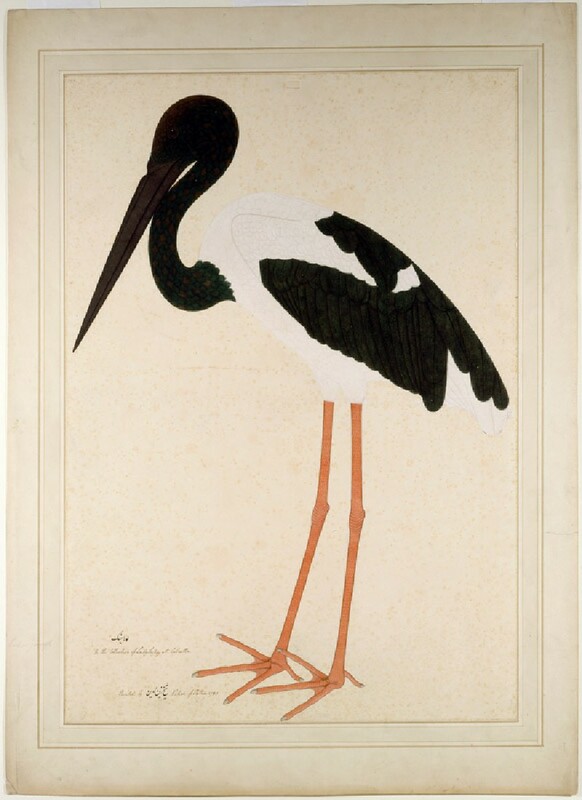 This tall, heavy-billed wading bird (identified here as luhajang) is found in various regions of the Indian subcontinent, including Assam, and throughout Southeast Asia. The dark iridescent blue-green-black tones of its head, neck, secondary flight feathers and tail are here densely rendered by Shaikh Zain ud-Din, and the bird’s long neck is compressed in a tight bend. 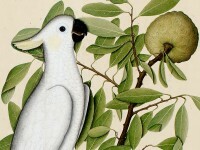 Another, more successful attempt at this bird was made by him the following year [LI901.2].